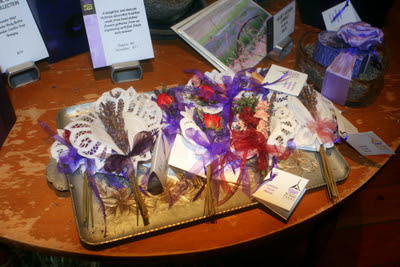 Handmade mussie-tussies, so fragrant and pretty. A Battenburg doily cradles bundles of lavender and other dried flowers and is tied with a pretty bow. Simple but sweet.